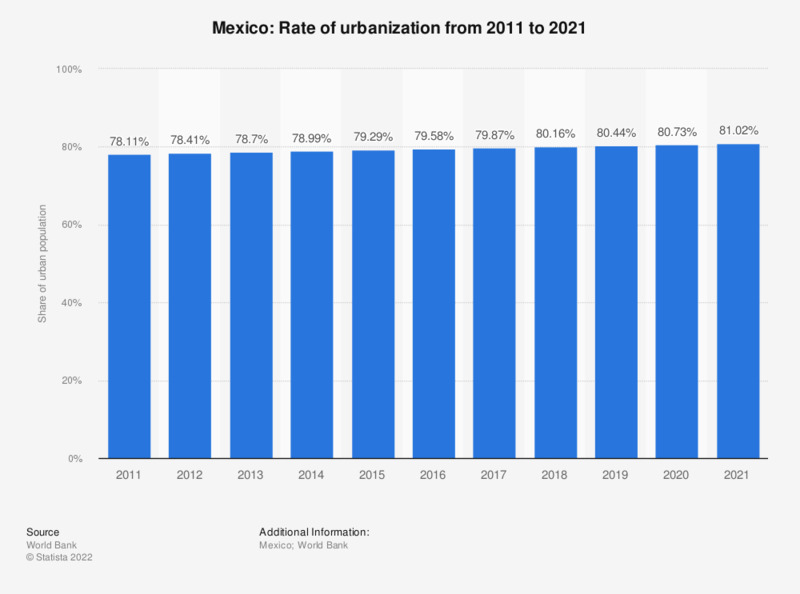 The statistic depicts the rate of urbanization in Mexico from 2007 to 2017. Urbanization is measured as the proportion of urban population in the total population. In 2017, around 79.87 percent of the Mexican population lived in urban areas.